Photography has a long history in Ethiopia. Today a team of archivers is using it to collect the memories of Ethiopians between the 1940s and 1980s. This photo was taken in the 1950’s. Genet and Mulugeta (in the middle) dance at their wedding as Konjit Fanta and her brother Tesfaye (on the right) dance along. Image via Vintage Addis. Photography in Ethiopia was used as a tool first by Emperor Menelik (reign:1889-1913). Photos at the time showed Ethiopians in triumphant poses, after the defeat of the Italians in 1896. Photography being much more common during the reign of Menelik’s successor, Haile Selassie (reign: 1930-1974), the focus was more on the symbolic power of institutions. 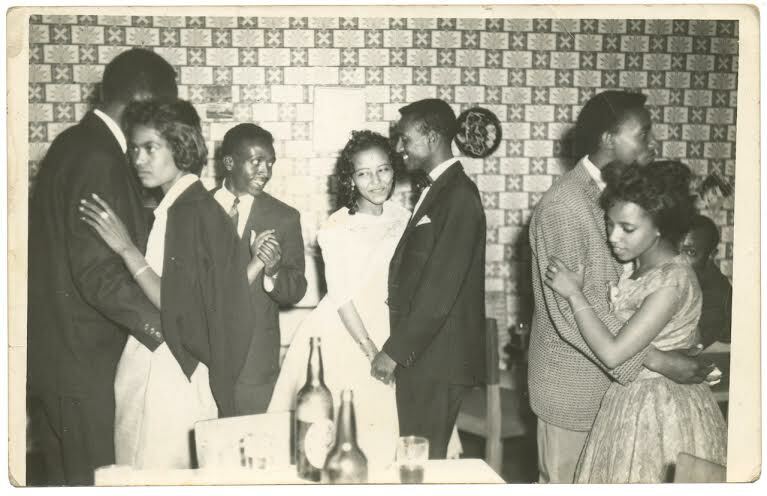 Vintage Addis Ababa (founded July 2017) is a crowd-sourced visual archive that gathers old photos from the private collections of Ethiopians, mostly living in the Ethiopian capital Addis Ababa, but also in the diaspora. Most of the photos date between the 1940s and 1980s. Each day they share one photo on their website. The website’s aim is to preserve these fragile historical resources by telling the stories of everyday people from Addis Ababa’s history. The project was inspired by Dutch photographer Andrea Stultiens, particularly his work preserving and publishing Ugandan photo archives. Founded in July 2017, Vintage Addis already has an online following of more than 45,000 on Facebook and has received favorable coverage in media outside Ethiopia. A Kickstarter campaign was just completed to realize the printing of a photo book. The founders of Vintage Addis Ababa are Philipp Schütz, Wongel Abebe and Nafkot Gebeyehu. All three live in Addis Ababa, where they met. Schütz studied at the School of Design in Zurich and moved to Ethiopia six years ago. Since then he has been working as a publisher, graphic designer and photographer. Abebe graduated from the Addis Ababa University School of Journalism and Communications in 2016. She currently works in communications and on various initiatives around youth empowerment. The Youth Mag and Young African Think’rs are two of the projects she has in engaged in. Gebeyehu, also a graduate of Addis Ababa University School of Journalism and Communications, currently works in communications and public relations. She is a co-founder and host of the weekly radio show The Schmoo Show on EBC radio in Addis Ababa. Vintage Addis sheds light on the life of ordinary people who are usually overlooked in history books. How do the stories of this archive relate to a younger generation? Most of the photos we receive are very relatable. They show that people, for instance during Emperor Selassie’s time or during the Derg (the military dictatorship 1974–1991), despite unfortunate circumstances, also chased their dreams, enjoyed each other’s company, fell in love, traveled and documented their lives in the process. When discussing the Derg period in high school, it never really occurred to me that people were still leading normal lives during that time; because all we would hear about are the tragic stories of the time, we often forget that normal life still went on regardless. During the Emperor’s time, I would say that the main lesson I learned is about the unique Ethiopian identity and our pride in it. It shows us there was a time when Ethiopians didn’t want to leave their country for good, as we often see now. Back then, people would study abroad and actually come back. Mr Dereje submitted this photo. The meticulously retouched photograph shows a beautiful bride with her handsome groom. It is not clear when and where the young couple got married. 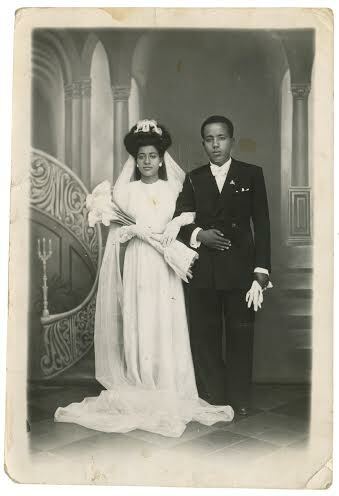 Image via Vintage Addis. Where were most of the photos taken? And by who? Most of the photos we’ve received are studio portraits. From this, we’ve concluded that not many people, especially before the 1970’s, owned their own cameras. Unfortunately, a lot of the photos we’ve collected don’t have much information on them. The photos usually lack a name of the photographer or date. The photos that do have information on the back, usually have stamps of professional photo studios. Besides the studio portraits, many of the received photos are wedding pictures, mostly from the 1970’s. Quite often we hear people say things like “Damn, they had fun like that in the 1970s?” Or they comment on the elegance and fashion of the day. I think generally young people in many parts of the world feel a sense of nostalgia and envy by looking at how much class, confidence and fashion sense previous generations had. That’s why we keep digging in the past to find inspiration across all art forms. Vintage Addis wants to show that lives of everyday people are worth remembering. 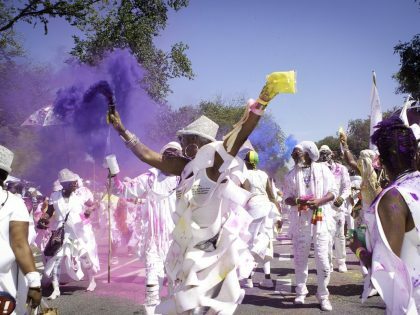 What is the role of this archive when it comes to the question of identity? Vintage Addis Ababa is about bridging the generational gap in Ethiopia. It is about connecting today’s youth with the roots of their identity. By exploring the life of previous generations, we’re discovering our roots, our culture and ways of living. These are the things I believe make up one’s culture. Although times have changed, we see that some things stay constant. We can see this in the social cues, norms and values people hold. We can learn a lot about who we are now as a society by looking back at the past. While ‘big events’ in history books are important, it doesn’t tell us how people experienced everyday life. With Vintage Addis Ababa we can provide a balance. Not by romanticizing or denying the past but by acknowledging that every generation had its high and low moments. Through the photos that we collect, we see a different perspective into the same history and learn different lessons. The story of Aynalem and Genet is a great example of this. They got married during the height of what became known as Red Terror in 1978, during General Mengisto’s dictatorship. Prior to that, Genet was in prison and Aynalem wasn’t allowed to visit her. Through their story, we see that love and relationships gave people strength to live on through very tough times. We learn how virtues like patience and commitment enable people to persist through hardships. Identity is very much related to the values people hold. For example, the Ethiopian identity is often said to be very communal and a lot of value is placed on people, on relationships. We see this back in our archive. One story is from Ato Yemane Gebre Amanuel. We have a photo that he took in his home during a celebration he threw for a friend after reconciling him with his wife. The Ethiopian identity is often said to be very communal, where people first and foremost care about people. Although we see the communal value decreasing in the city these days, it is an important value we ought to hold on to as Ethiopians—to value relationships. What is the state of archiving in Ethiopia and the Horn of Africa? Preservation of historical resources doesn’t seem to be a priority for the institutions we worked with so far. Many of the photos and antique objects we find are often damaged. There’s not much awareness about the importance of archiving or much know-how either. We’ve gone to the historical buildings in Addis Ababa, such as the two oldest hotels Taitu Hotel and Ras Hotel. We left heartbroken when they told us that they have no old photos in their storage. We found an amazing archive of photos at Addis Ababa University’s Yared School of Music and at the Hager Fikir Theatre. Unfortunately, there hasn’t been an attempt yet to digitize the photos. 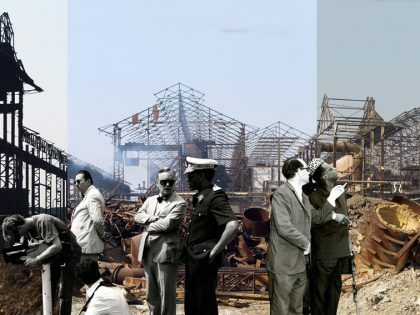 From these experiences, we can see that preservation isn’t really a priority for many institutions in Addis Ababa.We also see that preservation isn’t a priority because many “historical” buildings in our capital are being demolished. For example, we decided to scan the archives of two cultural institutions, a theatre and a music school. We were surprised to find we were the first ones to ever scan these important images, but also noticed how poorly they were kept. Working on this has been a good reminder that structuring and keeping visual content is important for future generations. Sadly, it has also made us wonder how many images got lost and damaged over the years. Vintage Addis has collected thousands of photos so far, from the 1940s to the 1980s. Who contributes photos and how can other people contribute? We started with our families, close family friends and relatives, approaching them to contribute photos. Then we started going around old neighborhoods in Addis Ababa asking the elderly to share their photos with us. Some photos were collected from contacts, others we gathered at our pop-up exhibitions. We also collected photos from several institutions, hotels and photo studios. But the majority of our collection comes from our open calls on social media. Many people call us and come over to the office to drop off photos of themselves, their families and friends. If they live abroad, we have a scanning guide that we send them so they can scan accordingly and share with us. We are still open to receiving photos. If anyone is interested they can send us their contacts on our social media platforms or get in touch via email; send to [email protected]. 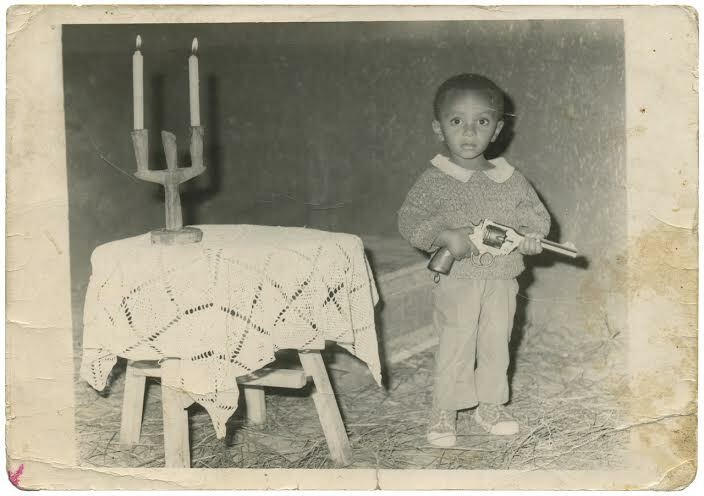 This photo was taken in 1976; Selewendem Kassahun holds his father’s gun on his second birthday. He almost shot himself when he accidentally fired the weapon. Ever since, this day is celebrated as the day he escaped death instead of the day he was born since then. Image via Vintage Addis. Were most of the photos taken by Ethiopians themselves of by foreign photographers who were visiting or working in Ethiopia? Local photographers, both professional and amateur, took the majority of the photos in our collection. We have photos taken by individuals who owned cameras but also many taken in photo studios. Foreign photographers have taken most of the photos that appear in books about the country. While such photos can have documentary value, they often lack intimacy. Vintage Addis Ababa is able to tell stories that are intimate and different because it collects photos from personal archive. What are some of the challenges of archiving the photos? Building trust is the biggest challenge. Since these photos are very sentimental to their owners, getting them to trust us was challenging. We don’t just ask them to share the physical photo, but also the story or memory behind it and we then share it with a wider audience. Another challenge is the follow-ups. Sometimes people promise to provide us with photos but then disappear on us. We often have to balance between reminding them and stalking them. It gets tough at times if we run out of content to share because we are 100% dependent on people. Vintage Addis Ababa receives funding from non-African partners such as the European Union, Alliance EthioFrancaise and the Embassy of Switzerland. What about support closer to home and from the diaspora? Our funding partners are non-African, but they are based in Addis Ababa and therefore understand the importance of our initiative. Approaching businesses has not been easy. We find that what we need to return would provide too much distraction from building the archive. We just completed a Kickstarter campaign where we have been able to get some support from Ethiopians in the diaspora and also adoptive parents. Does the archive highlight leisure activities, such as sports? Our archive is restricted to what kind of photos people had made of themselves, took, and which they kept. Sports photography, street photography, nightlife, and generally more variety is something I would like to see more. But the photos are a reflection or summary of photographs that are found by people in Addis Ababa. Philipp Schütz is a co-founder of Vintage Addis Ababa. 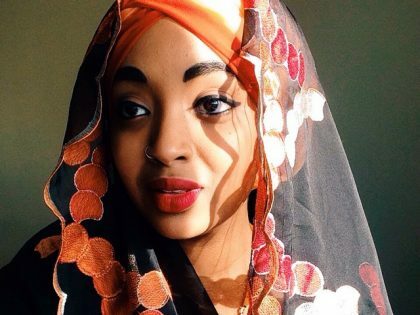 Wongel Abebe is a co-founder of Vintage Addis Ababa. Nafkot Gebeyehu is a co-founder of Vintage Addis Ababa. Marthe van der Wolf previously worked as a journalist in Ethiopia. She is also the founder of marketfiftyfour.com.